What to do??? I could have kept them for my children daily smoothies that I now makes for them, but I had seen this fun recipe in the Super Easy Recipe Shortcuts from Cooking Light, and thought to give it a try for my evening dessert. The recipe was adapted by me though. It was delicious, easy and so so yummy!!!! 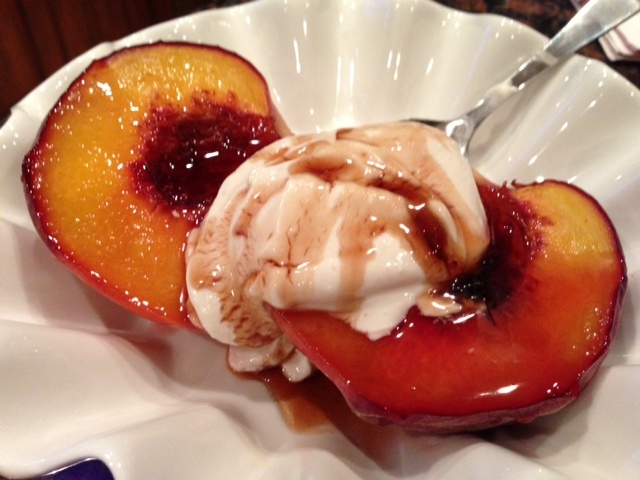 In a small bowl, mix the bourbon, 2 tbsp of brown sugar, and 1/2 tsp of vanilla extract. 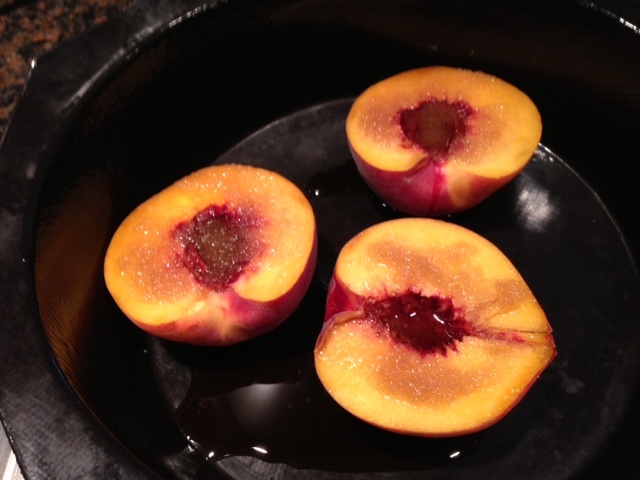 Place the halved and pitted peaches inside the large round mold and pour the bourbon mixture over the fruits. Place the bowl onto a perforated sheet and place into the oven. 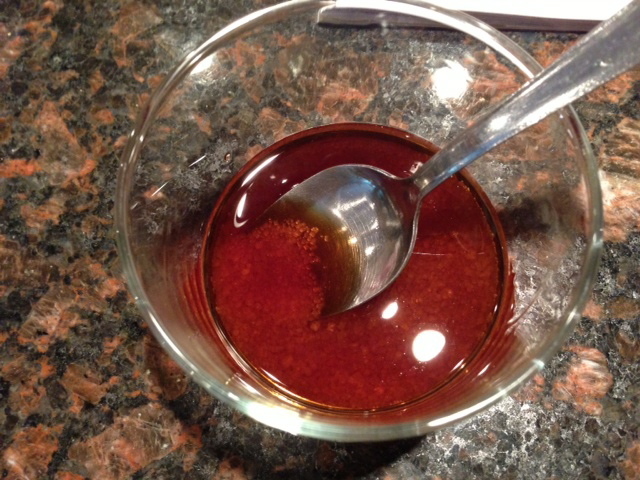 Meanwhile beat the 1/2 tsp of vanilla extract, and the sugar into the yogurt and let it sit. 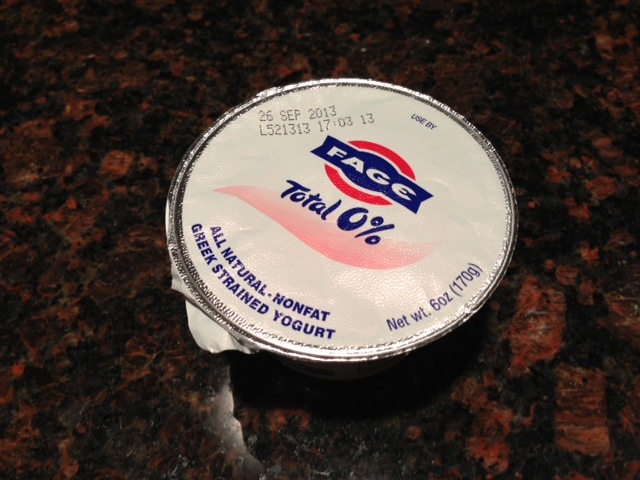 If you want the yogurt to be more smooth and silky, add 2 tbsp of heavy cream to the yogurt and mix well. 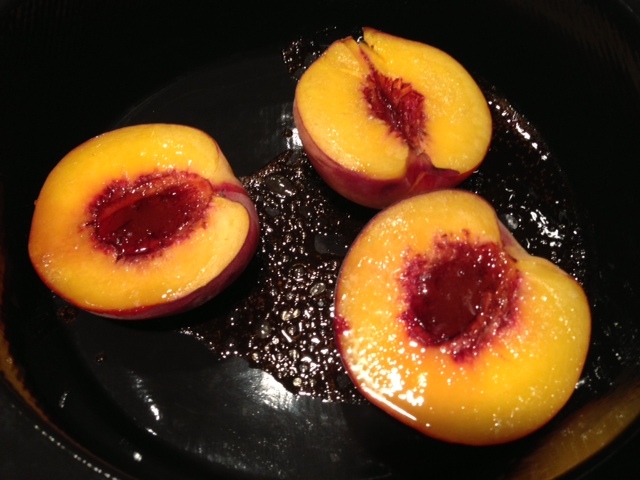 When the peaches are cooked, place them in individual bowls. 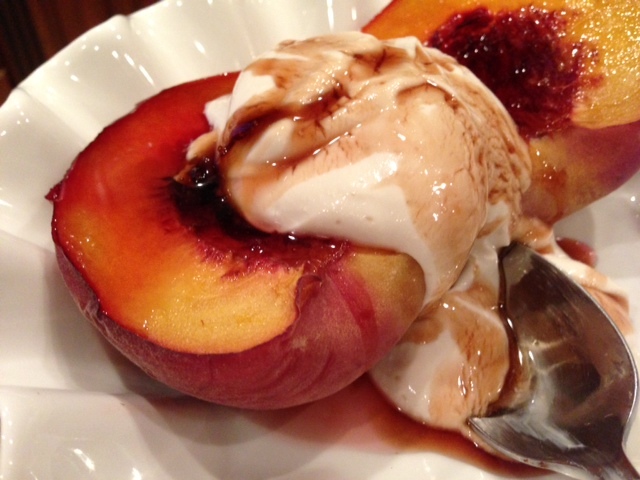 Spoons the yogurt over the peaches and drizzle the caramel that has formed at the bottom of the mold. Enjoy!!! Yum, YUm!! !